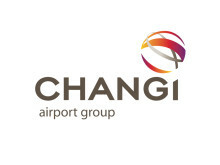 SINGAPORE, 30 December 2014 – Singapore Changi Airport handled 4.42 million passenger movements in November 2014, a decrease of 1.1% year-on-year. Aircraft movements were 5% lower with 28,000 take-offs and landings. In the same month, 156,500 tonnes of cargo was handled, 2.2% lower than a year ago. While passenger movements to and from Southeast Asia and Europe declined, traffic to South Asia and North East Asia registered growth. This was fuelled by increased travel to India, Sri Lanka, Japan, South Korea and Taiwan. Passenger traffic to and from Thailand and China continued to show signs of recovery, growing 0.9% and 2.7% on-year respectively, after experiencing declines for most of this year. 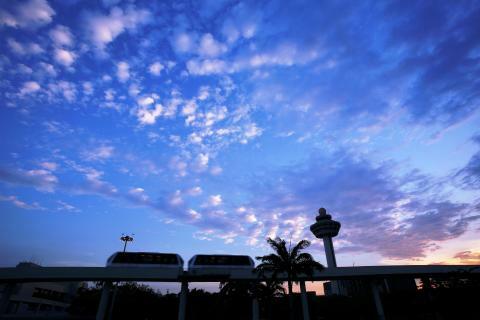 For the period of January to November 2014, 49.0 million passenger movements were registered at Changi Airport, 0.8% more than the corresponding period in 2013. Cargo shipments were stable at 1.69 million tonnes while aircraft movements were slightly lower at 311,700 for the same period. As at 1 December 2014, more than 100 airlines operate at Changi Airport, connecting Singapore to some 300 cities in over 70 countries and territories worldwide. With more than 6,600 weekly scheduled flights, an aircraft takes off or lands at Changi roughly once every 90 seconds. New Services – Tigerair began its weekly service to Guilin, China from 15 November. SilkAir also launched its daily service to Bali-Denpasar on 12 December, bringing the Singapore Airlines Group’s services to Bali to five times daily. New Stores and Re-openings – Travellers looking for fine jewellery before flying now have a new option, Pandora, to choose from. The new store in Terminal 2’s Departure Check-in Hall offers exquisite designs for discerning shoppers. Within the transit area, Kedai Killiney Kopi has reopened in Terminal 2 with a new look after refurbishment works, offering its signature local flavours such as kaya toast, mee siam, mee rebus for travellers craving local delights. New Cosmetics & Perfumes operator The Shilla Duty Free has opened more stores across Changi Airport’s three terminals since taking over the concessions in October this year. Introducing over 70 new brands to Changi, Shilla now offers various top Korean brands such as Innisfree, Missha, Etude House, as well as international brands such as Jo Malone, Make Up Forever and NARS. Within Terminal 2, Shilla has also opened specialty stores retailing popular products from M.A.C, Kiehl’s and Giorgio Armani Cosmetics. ‘Be A Changi Millionaire’ Monthly Winner – The last finalist in the running for a million dollars is Egypt national Mr Hassan Mohamed, who currently resides in Perth, Australia. Mr Mohamed certainly didn’t see the win coming when he made his lucky purchase of a pair of Gucci sunglasses for his girlfriend. The 33-year-old engineer was heading back to Perth after a holiday in Turkey in October. He has already decided what to do with the money if he wins it. “If I win the million dollars, I will buy my own house in Australia,” he said.